World meet fowling. Fowling meet world. Thanks to the Quick Lane Bowl your tailgates before you watch your favorite band march will never be the same. Fowling is like corn hole except with bowling pins and a football instead of a bowling ball. You hike the ball and try to hit the pins. Trust us it is amazing. Tonight the Boston College long snapper recorded the first great moment in fowling history. 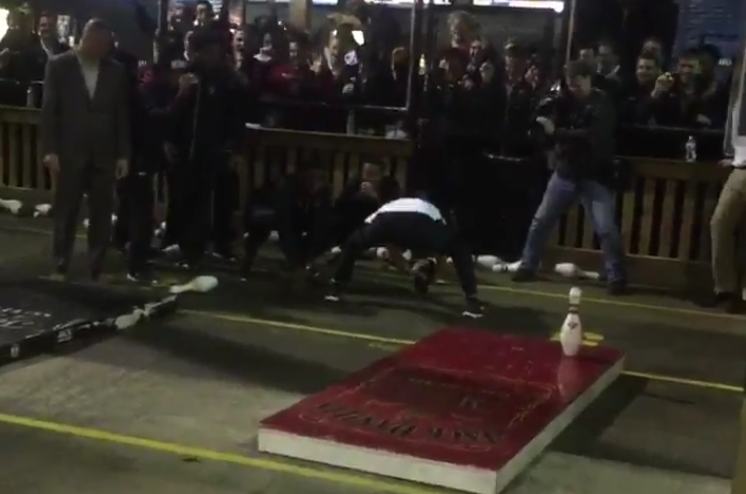 Watch as the Boston College long snapper picks off the final pin to win in epic fashion.